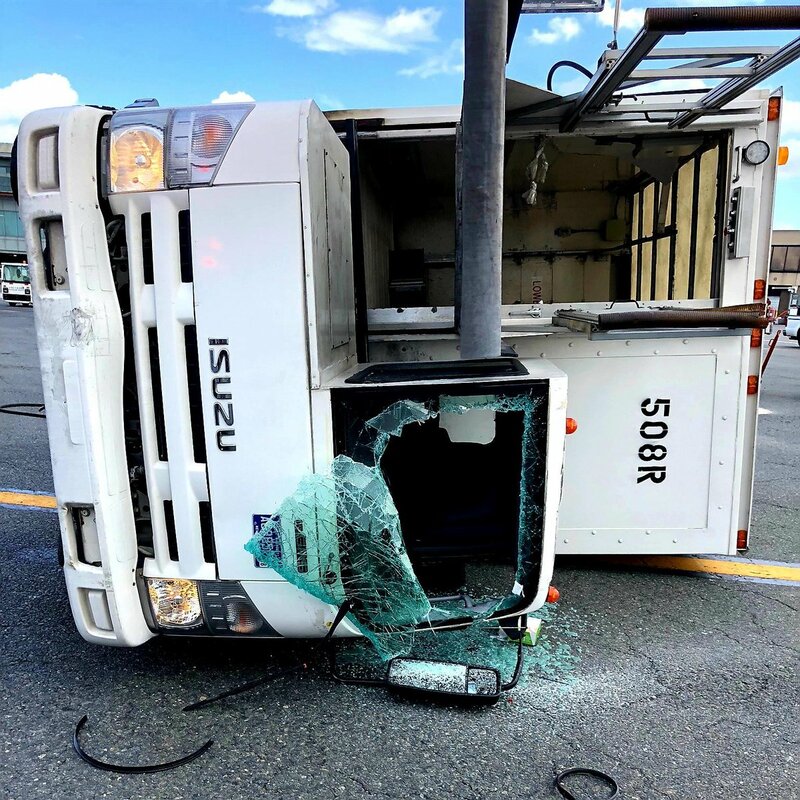 An investigation is underway in New York into why a United Airlines Express jet was pushed back into the side of a food service truck, so hard that it knocked the vehicle onto its side. 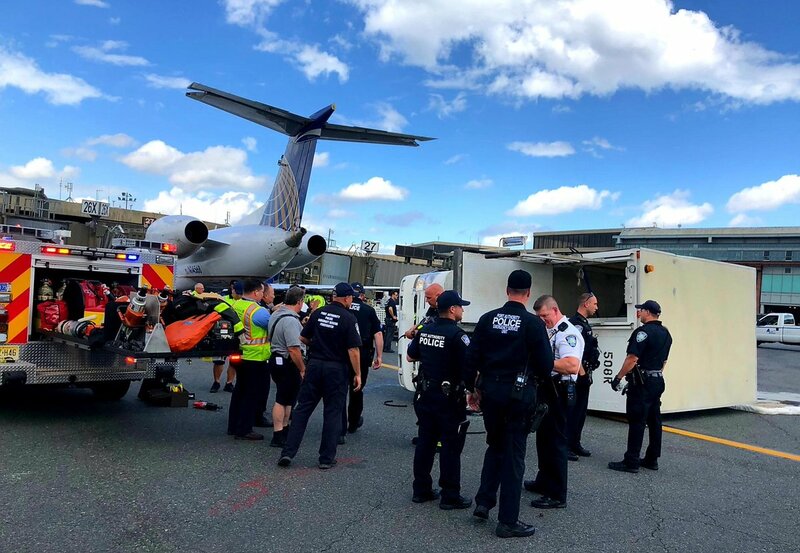 The incident happened around 11.40am today at Newark's Liberty Airport when the aircraft was being pushed back by a tug. 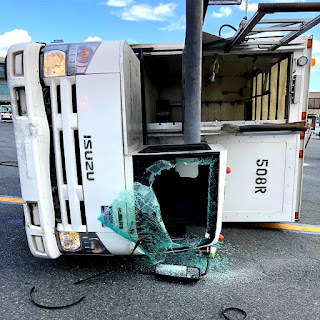 The driver of the food service truck was taken to hospital with minor injuries to her arm, none of the 47 passengers on the aircraft were said to have been injured. 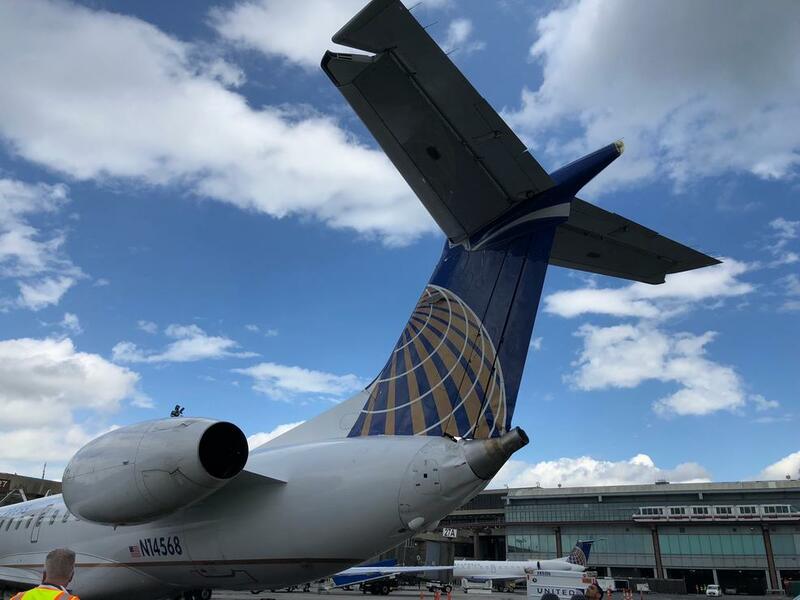 The FAA is investigating the collision that occurred near gate 26 at Terminal A at Liberty International Airport. The aircraft, Embraer ERJ145 of ExpressJet operating under the United Express brand, sustained damage to the tail area and had been operating flight UA4080 to Richmond, Virginia.